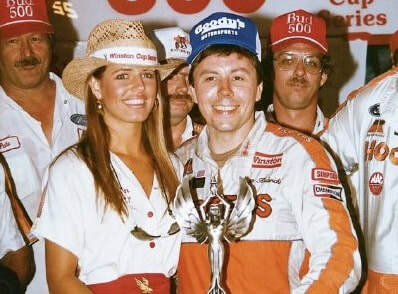 Allen Dennis Kulwicki "Special K' and the "Polish Prince" was an American NASCAR Winston Cup Series racecar driver. He started racing at local short tracks in Wisconsin before moving up to the regional stock car touring series. When Allen started in NASCAR he had a limited budget and no sponsors, he did own a racecar but had to borrow a pick up truck, despite this he still went on to win the 1982 Rookie of the year award. Kulwicki was well known around speedway for his victory lap, this he would do in reverse. Allen died in a aircraft crash in 1993. 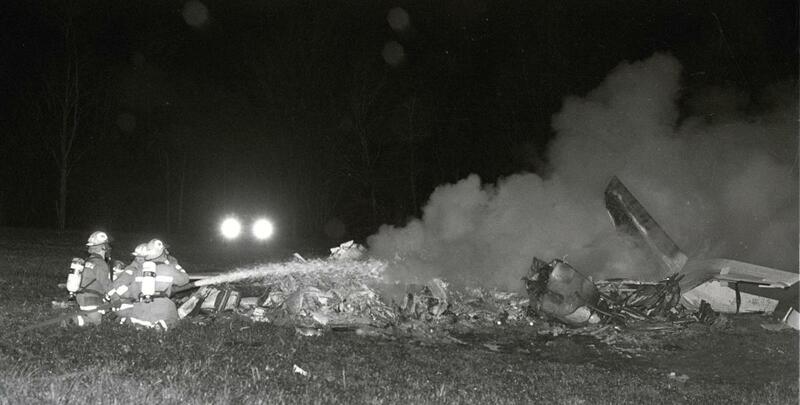 1993 - The aircraft accident that took the life of Allen Kulwicki and three others. Photo: unknown.